Damn! What a way to start the day off! Gary was out at Water St. 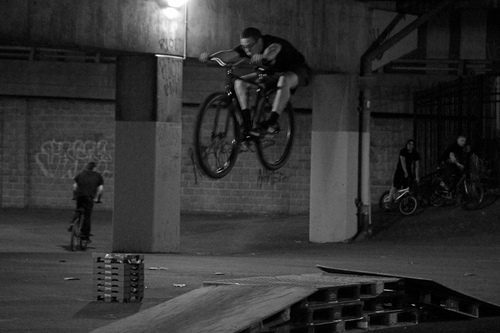 Sessions in Philly last night taking photos of everyone riding and he caught Tom tucked up over this ghetto box jump. Great shot man! Nasty X-Up too!